You’ll love escaping to the serenity of your beautiful 1 bedroom, 1 bathroom apartment. Relax in the comfort of split system air-conditioning in your spacious living room or recline on your balcony, enjoying the soothing outlook over the complex pool. 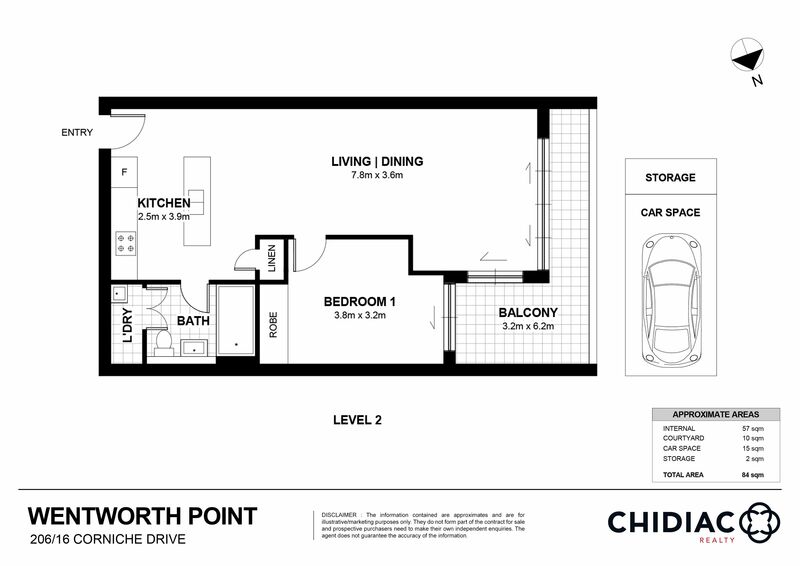 Thoughtful design provides balcony access from your large bedroom and a gourmet kitchen with freestanding island bench. Make the most of your access to Pulse Club facilities including gym, indoor lap-style pool, outdoor oasis-style pool, two tennis courts, library and function room. The enviable location positions piazza cafés, restaurants, bus and community shuttle stop only a short walk away or enjoy the easy access to Marina Square Shopping Centre, Ferry Terminal and Bennelong Bridge. Take the first step towards creating your new lifestyle, book in time to inspect this incredible property by contacting Alex Chidiac on 0439 555 999 or Chedi Chidiac on 0448 301 339 today.